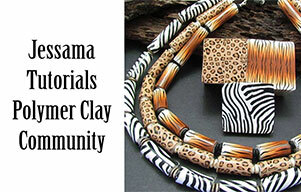 In this easy polymer clay necklace tutorial we will be using silver link bezels filled with rose canes and pebeo paints. 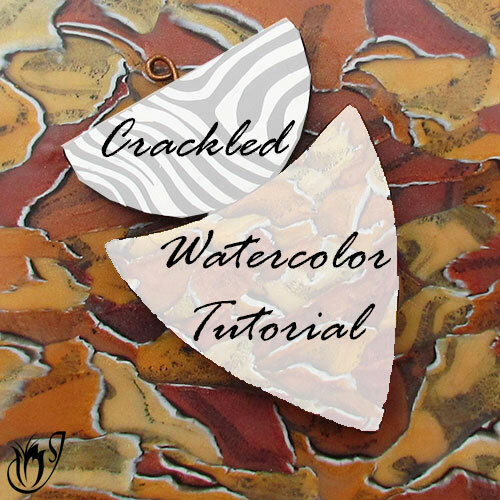 You can fill the bezels with any polymer clay cane or paint that you want to, so this is a really simple, versatile project that you can play around with to create lots of different designs. If you want to use the evening rose cane that I am using, you will need to watch that tutorial before this one. The link is in the suggested links box below the video. 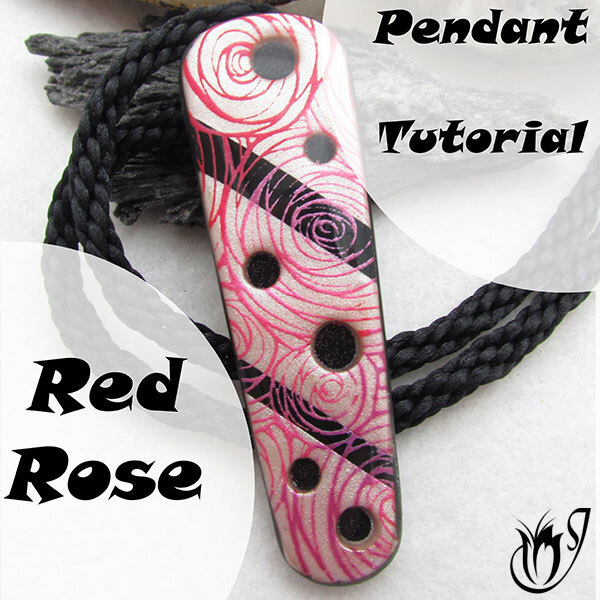 To start this polymer clay necklace project you’ll need some silver link bezels, pearl white polymer clay and the evening rose cane from part one of this tutorial. 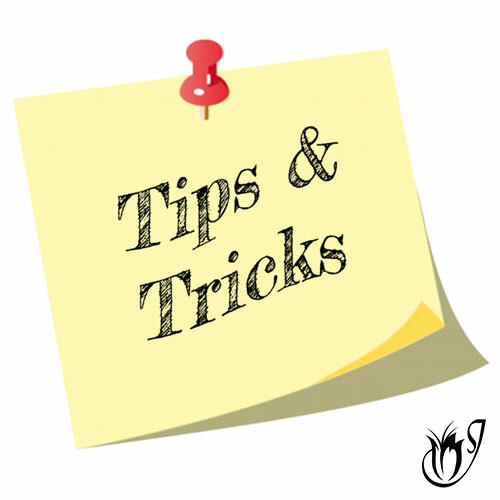 Take a thickish slice of the cane and stretch it a bit before placing in the link. Press down with your fingertips and squish it out towards the edges. Cover with a piece of paper and burnish flat. Repeat to make a second one and bake for half an hour at the recommended temperature. Reduce a piece of your rose cane to three different smaller sizes. Lay a few different size slices on the pearl white. Cover with a piece of plain paper and burnish. Cut a few slices from one of your reduced rose canes. 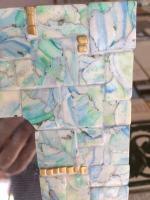 Lay the slices around the edge of the bezel, overlapping them. Cover with plain paper and burnish flat. You may need to spread it out to the edges with your fingers and burnish again. For this part of the project you will need Pebeo paints to match your polymer clay rose cane. I'm using Ash Blue and Eggshell White Prisme and Metal Blue Moon. Design One: Add some Eggshell white to two of your silver links. Add some Ash Blue to the outside. Drag the white through the blue using a piercing pin. Design Two: Add some Ash Blue to the middle of two more silver bezel links and drag to the sides. Add a few drops of Metal Blue. 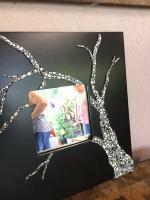 Design Three: Add Eggshell white to one silver link bezel and drag to the edges. Leave to cure for about twelve hours. Sand the bezels with the rose cane centers starting from the lowest grit and working your way up. Measure out your Ice Resin. I use a plunger to make sure that the measurements are accurate. Mix thoroughly but gently - around five minutes. Lay your bezels out on a resin tray and drip the resin into the centers using a skewer. Don't over-fill them. Add a bit at a time and stretch it out towards the edges. Blow gently through a straw to pop the bubbles. Check out my Ice Resin Tutorial for more information. Lay your links out in the order you like and link them together with silver jumprings. Add your clasp to the end links with jumprings. 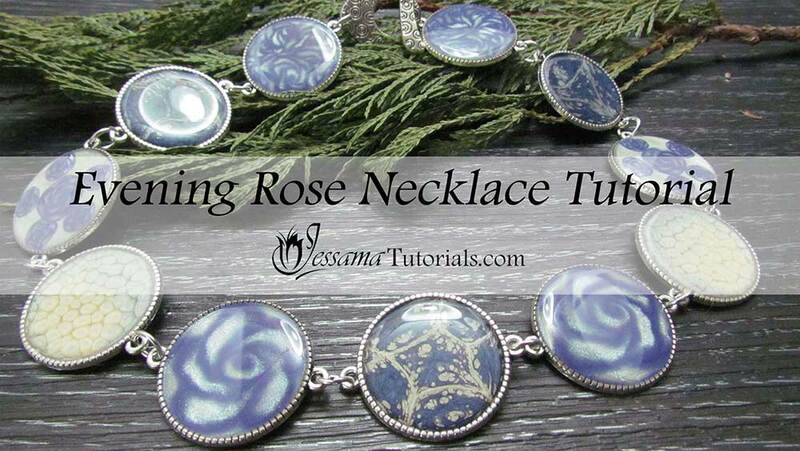 And that's the Evening Rose Necklace Tutorial. Play around with this technique. 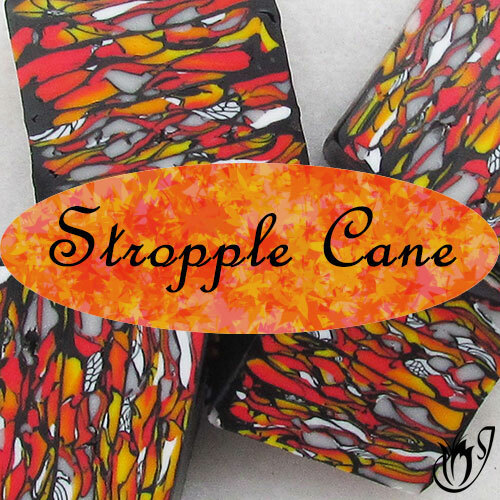 You can use other canes, colors and paints to achieve different effects.